Commencing immediately, the EODSA will no longer be processing card fees and creating cards in the office. People must submit their application online and if the club has opted out of paying for the ID Card, (Lynwood will not be responsible for players card fees) then the athlete will be required to pay online through Paypal. However, athletes can still pick up the card in the office if it was submitted online. 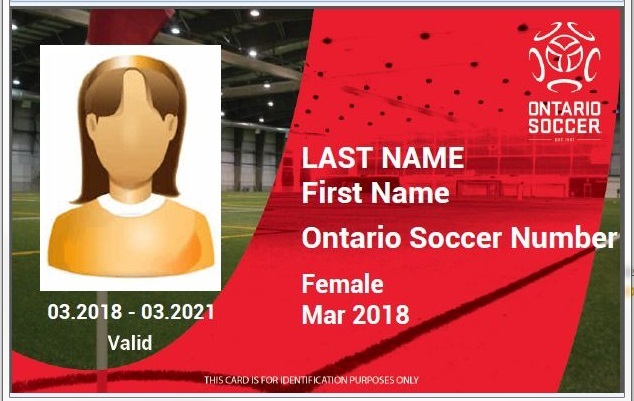 Please note that a player must be registered in the Ontario Soccer registration system by the club admin (Dawn) prior to applying for your card. Please contact Dawn to confirm you have been registered. The link for creating a card is http://www.eodsa.ca/PlayerCard_Create.aspx. 1. Why was my card request not approved, I registered with my Club yesterday? · You may have registered with your Club but your registration information still needs to be entered by the Club in Ontario Soccer’s registration database. Please follow up with your Club for a timeline on entry of registrations in the database. 2. When I upload my photo, it zooms in really close on the photo and I can’t crop it. · You can submit the photo zoomed in as we receive the full photo and will crop it appropriately. 3. When can I pick up my ID Card? · Once you have received an e-mail confirming your ID Card has been printed, the ID Card is available for pick up during EODSA open hours. Check our junk or spam folder if you haven’t received an e-mail as it may have gone there. · Submit the application with the “Registration number” field left blank. We will pull this information from Ontario Soccer’s registration database and fill the field in ourselves.